...at the 2003 Frankfurt show. Only details such as the door handles, wing mirrors and alloys were changed for production. Last month, Autocar published a first drive of the new Mercedes-AMG CLS53 – and what a creation it is, good enough to garner four stars no less. But the price? Around £70,000. Even the ‘basic’ 350d 4Matic AMG Line is £57,510, but worry ye not: we know of a CLS320 CDI for sale for just £2750. Granted, it’s a first-generation model registered in 2006, has done 102,000 miles and has ‘service history’ rather than ‘full service history’. But the seller confidently claims the engine and automatic gearbox operate ‘perfectly’ and that, save for a few ‘discreet’ scratches and light wheel kerbing, the body is ‘good’. So also, he says, is the interior. It sounds tempting, because the first-gen CLS is just so darned attractive and 100,000 miles is nothing for a car of this quality. At launch, its curvy, four-door coupé body was unlike anything else in Mercedes’ range; so, too, its interior that manages to be both sporty and elegant. 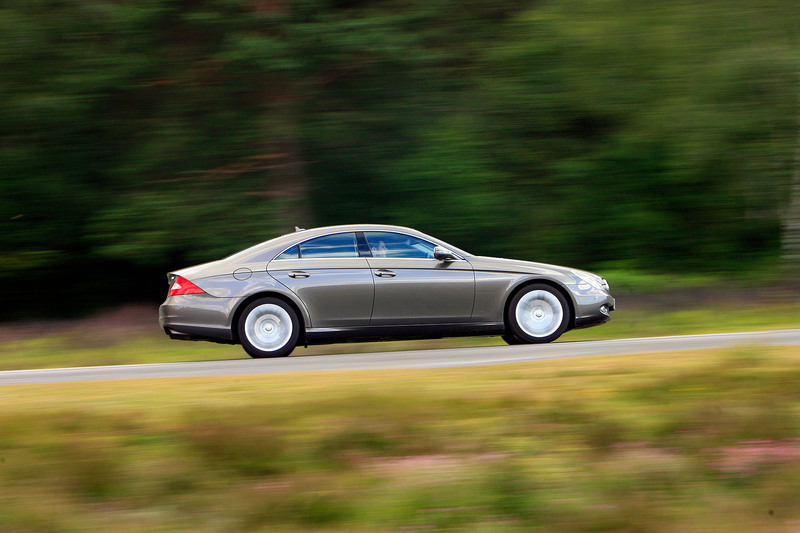 The ‘S’ in the name suggested a relationship with the S-Class, but in fact the CLS was based on a stretched E-Class platform. It landed in UK showrooms in 2005. 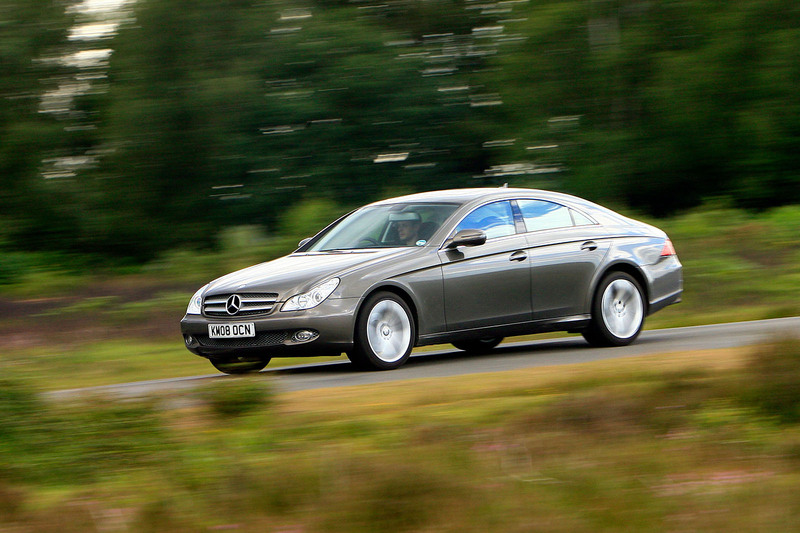 The big sellers were the CLS350, powered by a 268bhp 3.5-litre V6 petrol, and the 320 CDI, a 221bhp V6 diesel. Those with deeper pockets could avail themselves of the CLS500, powered by a 302bhp 5.0-litre V8, or the range- topping, supercharged 5.4-litre V8 CLS55AMG with 469bhp. Just a year later, the 5.0 V8 was replaced by a much more powerful 5.5-litre engine, while the 55 was superseded by the CLS63 AMG, which used a naturally aspirated 6.2-litre V8 with 507bhp. 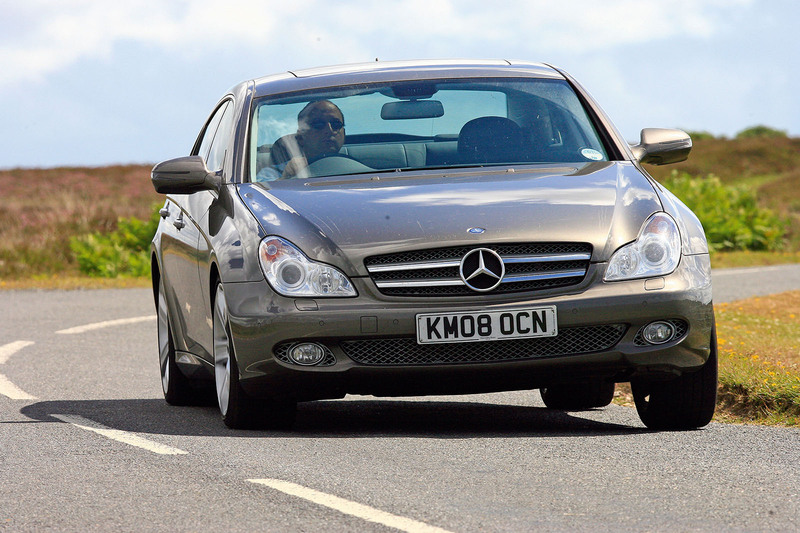 At the time of writing, a 2006 CLS63 AMG with 67,000 miles and full Mercedes service history was up for £15,495. All had rear-wheel drive and a seven-speed automatic gearbox. Air suspension was an option and standard equipment included part-leather trim, electrically powered front seats, climate control, adaptive cruise control and parking sensors. The next big CLS milestone came with the 2008 facelift and its twin- louvre grille in place of the previous four-louvre version, LED tail-lights, a new three-spoke steering wheel and the latest infotainment system. At the same time, the 268bhp 350 petrol morphed into the cleaner and more economical 288bhp 350 CGI. 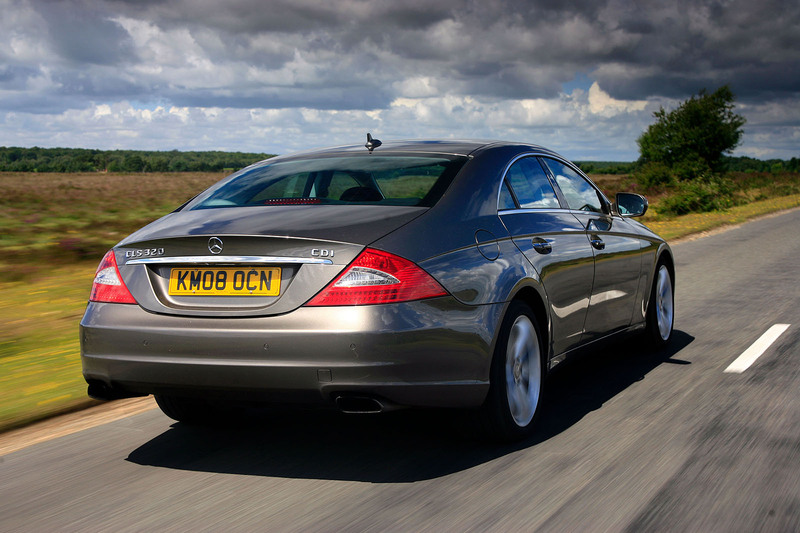 The following year the CLS320 CDI became the 350 CDI, but there were no changes to its power or economy. That said, a limited-run Grand Edition version featured a power upgrade to 272bhp, AMG alloys and active lighting. Not surprisingly, CLS55s and 63s are rare birds. They’re also expensive and cost a bomb to run. Instead, browse among the diesels and CLS350 petrols. There are loads for sale. As you’ll read opposite, the early petrols need careful buying but remain good if your mileage is low, while the diesels are among the classiest workhorses you can buy. “The CLS is very popular. It looks great and is really comfortable. The main issues are balancer shafts on early petrols, the gearbox speed sensor on petrols and diesels, and the diesel engines’ inlet port shut-off motors. These live under the turbo, so if there are other problems with the turbo it’s sensible to replace the shut-off motor regardless. ENGINE - On early CLS350s, check the engine number for balancer shaft problems (see ‘Also worth knowing’) and check for an oil weep from the rubber bung on the back of the rocker cover (cheap to fix). On diesels check the operation of the inlet port shut-off motors that control the manifold swirl flaps (a six- hour job to replace) and check for oil leaks from the engine oil cooler seal. GEARBOX - The speed sensor can play up on the seven-speed auto used by petrols and diesels, causing the ’box to hold on to gears. If this occurs, the engine management light should come on. There’s a repair kit for later ’boxes but older ones may need a new valve body. SUSPENSION - Put the car on a ramp and check the rear springs, which can break. On cars fitted with optional air suspension, check the condition of the air pump and the system for corrosion. ELECTRICS - Check the wiring for the rear lights where it passes close to the boot hinge. It can get pinched and wear through. 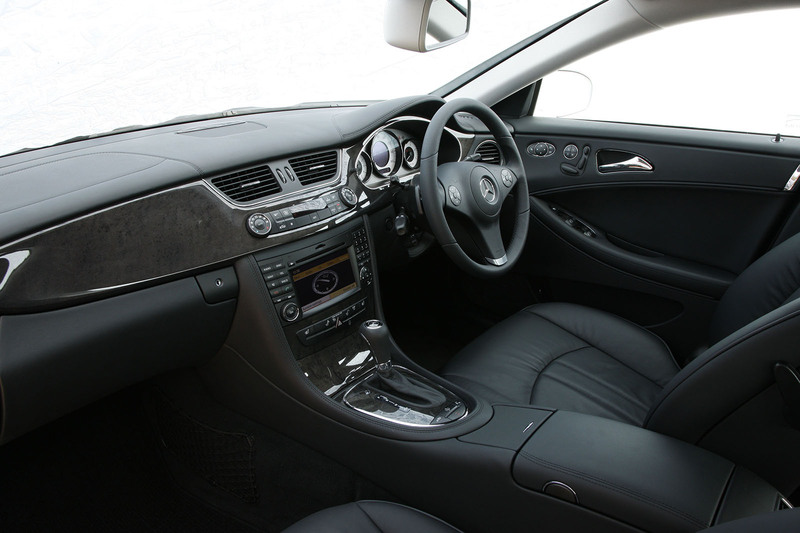 INTERIOR - Generally tough although the driver’s side seat bolster takes a hammering. BODYWORK - Check for parking scrapes and kerbed wheels. A sign of good servicing is that the rainwater drain holes are clear; blockages can let water into the cabin and disrupt the electrics and ECUs. 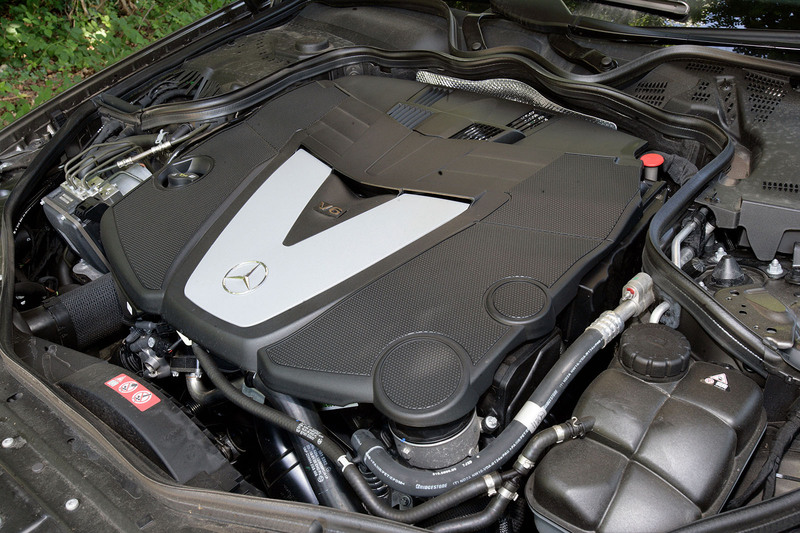 At mercedesmedic.com you can find out if the M272 engine of the CLS350 you’re thinking of buying has a dodgy balancer shaft. There’s an explanation of the problem (soft gear teeth prone to wear), a copy of the technical service bulletin and advice on how to check the shaft’s condition. Engine numbers higher than 30 468993 are okay. £2750-£4995 - Early (2005-06) 350s and 320 CDIs, generally around 120,000 miles. £7000-£8495 - Facelifted 09-plate 320s and 350s with 80k miles, plus the first 350 CDIs around 100k. A few early CLS500s. £8500-£9995 - Lots more 2009-10 350 CDIs with around 80k miles. £10,000-£11,495 - Lower mileage 350 CDIs from 2010-11. £13,995- £16,500 - Small selection of CLS55 and 63 AMGs. MERCEDES CLS350 CGI AUTO, 2006/06, 77K MILES, £5490 Stunning 20in alloys aside, it’s this car’s full Merc service history that shouts loudest. As with all early CLSs using the M272 3.5-litre petrol engine, check the engine number to avoid balancer shaft gear issues. Maybe if when piecing these used car guide together a “how much to budget” for serving, insurance would be helpful?, knowing how much to set aside each year would be helpful....? That's a good point. If I were buying a car which had cost so much new and would have the parts prices to match, I'd want to be keeping at least the cost of the car again in reserve, and preferably up to ten thousand quid, because even normal expenditures like tyres, exhaust, brakes, shocks and so on will be a fair bit of dosh, and if something pricier goes wrong it could easily turn nasty if one were not prepared. The bigger problem, though, is how many run-of-the-mill family saloons have nineteen and twenty-inch wheels and other unnecessary complexities which will make them an unacceptable proposition for the banger market due to running costs, and will leave us with a huge number of cars with useful life remaining which the people who would be their latter users cannot afford to run. Of all the recent Mercedeses this has the most exquisite dashboard. Love that slab of wood. But of course the satnav is in the 'wrong' place. This article is very useful for me. I would love to own a mercedes model. So this guideline makes me easy to choose the best way to buy the used mercedes car. thanks for sharing.